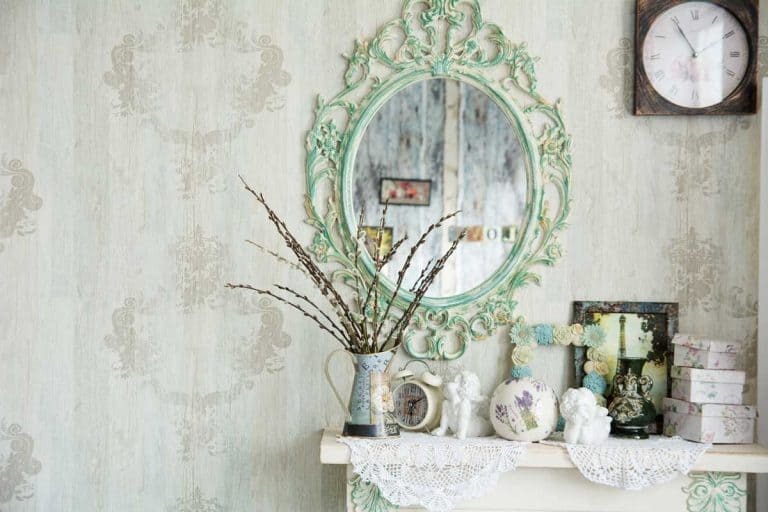 Are you planning on decorating your bedroom walls but don’t know where to begin? Why not spruce them up with some pictures? I’ve conducted some research online to find ideas and tips that’ll educate and inspire you. When placing pictures on bedroom walls, the most vital thing to do is brainstorm your ideal design prior to decorating your walls. If possible, get a trusted friend or loved one to help you out. Be mindful of the adhesive you use to stick them on. Don’t use regular tape. Also, take caution when hammering a nail into a wall. Framed paintings are nice, but you don’t have to limit yourself to them. True, this is a lot of information to take in, but it’s not as overwhelming as it appears. That’s why I’ll go into more detail in this article. Continue to read on about brainstorming, adhesive tips, and design ideas. The very first thing you need to do is plan your dream design. It’s best to do this with printer paper and pencils so that you can erase any mistakes or make changes. Feel free to use markers or colored pencils as well. Sometimes, it’s easier (and more fun) to have a trusted friend or family member to assist you. They can give suggestions on colors, patterns, shapes, etc. Once you reach a mutual agreement, you can start creating together, making the task go much more quickly. This is your bedroom – the most personal space in your home – so you need to use a layout that speaks to you. One popular option is to create a collage of your favorite pictures, placed close together. Collages can come in a variety of arrangements, depending on the number of pictures you have and their size. It’s absolutely ok to choose just one awesome wall picture and hang that either over your bed or across from it. One basic rule of design to keep in mind is to keep a balance. Balance does not equal symmetry. 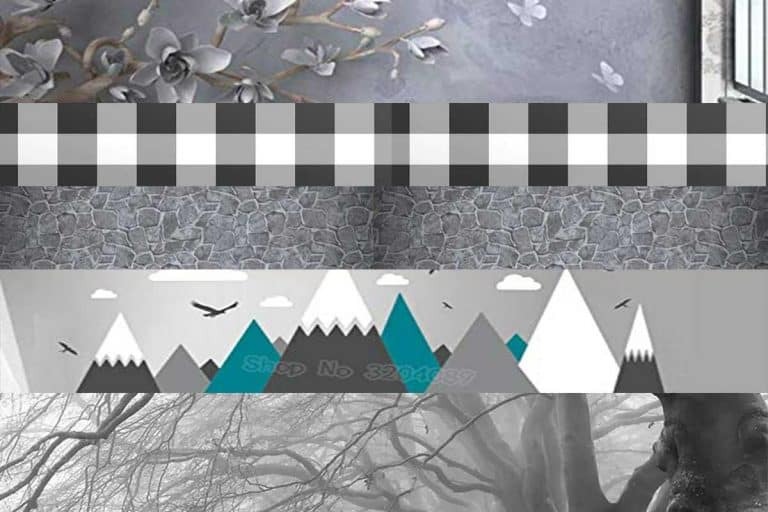 Don’t feel bound to create a symmetric look by having three pictures of the same size on each side of your layout. Instead, place one large picture on the right side and balance that out with two pictures that are half the size, on the left. Take colors and shades into account too. A striking bright picture on one end of your layout can be balanced by several images which have more muted tones but take up a larger area. 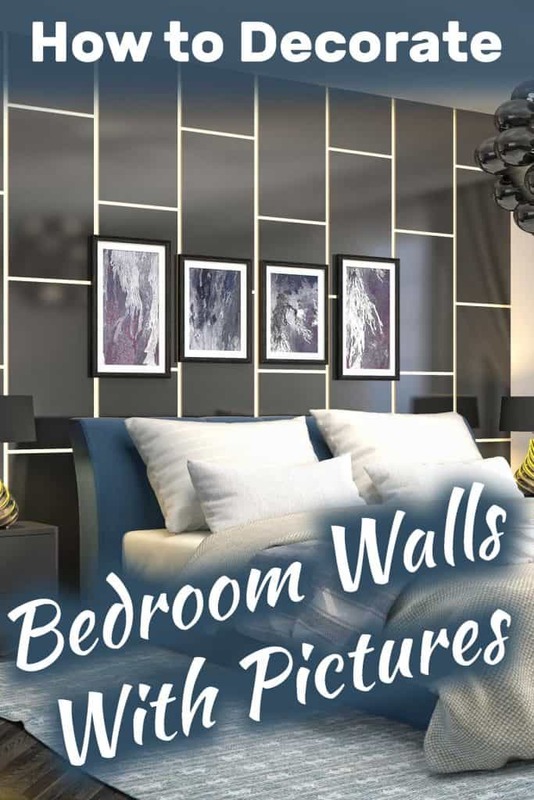 There are a couple of things to keep in mind when decorating your bedroom walls with pictures. The first has to do with form and the second with content. In terms of form, most bedrooms have a large bed right in the middle. This is usually a queen or king sized bed which takes up most of the floor space. What this means in terms of interior design is that the bed is often a focal point in the bedroom. And you should keep that in mind when planning the size of wall art items and their position. In most cases, it makes sense to place wall art right above the bed. The pictures align with the bed, and the eye drifts from one area to another, appreciating the pictures. Another prime location is right across from the bed. That way, the wall decor does not compete with the presence of the bed directly. Instead, it’s available for you to gaze on while you’re in the bed. What do you want to see before you fall asleep? If you’re following a specific design style or theme, you’ll want to match the wall pictures to that. Some styles, like industrial or modern interior design, also call for fewer items of wall decor, allowing empty wall space to make its own statement. Others, like shabby-chick, eclectic or country design, work well with a “busier” wall. Let’s go over the two basic ways of mounting pictures on your bedroom walls. You can either stick them there using adhesives, or you can use a hammer and nails to properly hang them off the wall. Each method has its pros and cons. Before you attach pictures to your walls, you have to ensure you’re using the right adhesives. Don’t stick your pictures on with regular tape because it’s difficult to remove, plus it scrapes off the paint. However, you can purchase special adhesives like removable wall tape or picture hanging strips. You can also use glue dots if you desire. You may decide to hang your pictures with nails instead of special tape or glue. Use lots of care with this option. If you happen to rent your home, get permission from your landlord first because not all landlords approve of tenants making holes in the walls. 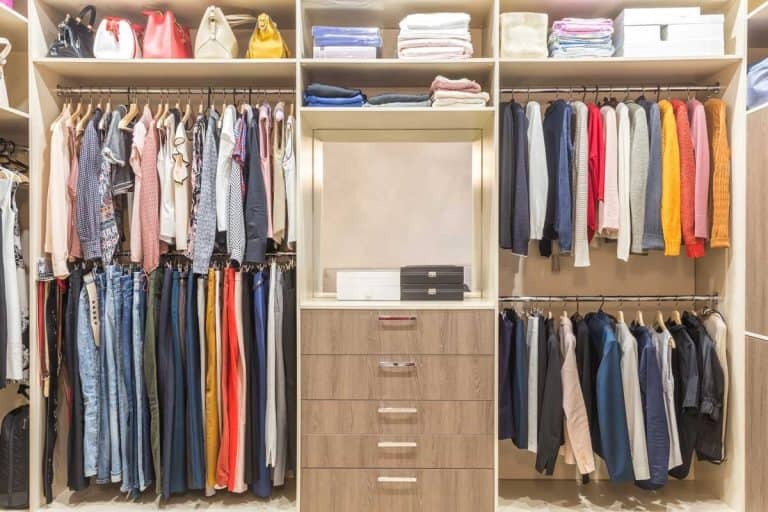 Plan ahead by picking the space you want and ensuring it’s not too big or too small. You should also level your picture at eye-level so that you wouldn’t need to look up or down to see it. (A measuring tape and a pencil are excellent tools to use for marking the eye-level space.) Then, use a stud finder to locate any metal or wood studs. Now it’s time to mount the nails. Before hammering, mark the place where you’re going to hammer the nail and measure to make sure all the edges and sides are level. Because of all the marking and measuring you had to do, hanging up your picture should be a cinch. To protect the paint from scratches, attach bits of adhesive felt to the frame’s corners. Now that we’ve covered the basics of how to mount wall art, it’s time to give some thought to what kind of wall decor you want to get on that bare wall. You can go with traditional framed pictures, but then, why limit yourself? Framed pictures or paintings are commonly used for decking bedroom walls. However, you don’t have to stick with only framed pictures. One benefit to using designs other than framed works is that you free yourself from the task of hammering holes in the walls. Below are some ideas you can use in decorating your walls. Decorating with wall decals may seem juvenile, but they can give your bedroom a vibrant, fun touch. Besides, who says wall decals have an age limit? A great thing about them is that they come in all sorts of colors, structures, and shapes, granting you endless design ideas. Choose from animals, cartoon characters, and much more. Best of all, decals come with their own adhesives, so there’s no hammering or gluing required. If you own a quilt or are capable of making one from scratch, you can create all sorts of pictures. Feel free to hang a plain one on the wall or deck it with patterns of your choosing. Not great with creating quilts yourself? Try Etsy or Ebay for some fantastic quilting art at various price ranges. Do you prefer working with felt fabric to quilts? What’s awesome about this type of material is that it’s light, soft, and comes in many different colors. With felt fabric, you can cut it into fun shapes and create tessellations or other patterns you desire. If you go with this option, pick a lightweight cotton print that appeals to you, and stick it on the walls with starch fabric stiffener. There’s nothing that exudes a homey feel like photos, especially ones of family members or close friends. Plus, you can create and display them in several ways. Locate a spot to place one or two favorite photos or take a bunch of them and turn them into a heart-shaped gallery. And, you don’t have to showcase them in photo format only. Try to seek out services that are willing to transform your photos into canvas prints. Give your walls a broken chic with mirror shards. They bring a shiny, mosaic feel to your bedroom, and you’re free to design them in any shapes of your choice like a tree, animal, or a random pattern. Take about a “fowl” idea (but, in a good way)! Feathers add a natural touch to your home, and your bedroom walls would probably be a topic of conversation. If you happen to find some feathers nearby, clean them up, then make a collage on any of your walls. If you can’t find real feathers, purchase some quality ones or even make some of your own out of paper. Why buy a framed picture or photo when you can create one of your own? Not only does this method save money; it allows you to express your artistic side. All you need to do is buy a blank canvas and paint anything ranging from a relaxing beach atmosphere to avant-garde shapes. With wood art, you can take a few wood pieces and paint a picture on them, or you can even carve something of your own. Many people aren’t confident in their art skills or don’t have time to decorate their bedroom walls with pictures. If this happens to be your situation, that’s okay. Go ahead and pay someone to do the job if you can afford to do so. You can hire a local interior designer to carry out the task. Before doing so, though, conduct some research on the prospective hire online to ensure their legitimacy. If they have a lot of bad reviews or seem shady, avoid like the plague. While there’s a lot to remember here, don’t let that worry you. When you think about it, it’s kind of like your own art project, so enjoy yourself as you place pictures on your bedroom walls. After all, it’s your bedroom; therefore, it’s important to make it inviting in a way that expresses your personality. And if you find it an overwhelming job, you can always ask for help either from a friend or an excellent interior designer. So, to sum it all up, brainstorm, use the right adhesives, be careful with hammers and nails, and experiment with various designs.